Often referred to as the green heart of Italy, Umbria is a treasure trove of exploration. 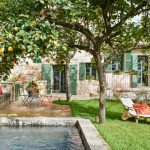 You couldn’t possibly ignore Umbria’s fertile landscape, olive groves or seducing vineyards. But it’s also easy to get swept up by the tourist traps. Once you’re taken in, it’s harder to discover the authentic finds in the region. 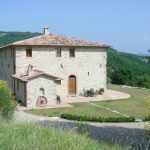 We’ve been there before, so to ensure you don’t make the same mistakes we’ve picked our favourite towns and villages in Umbria. 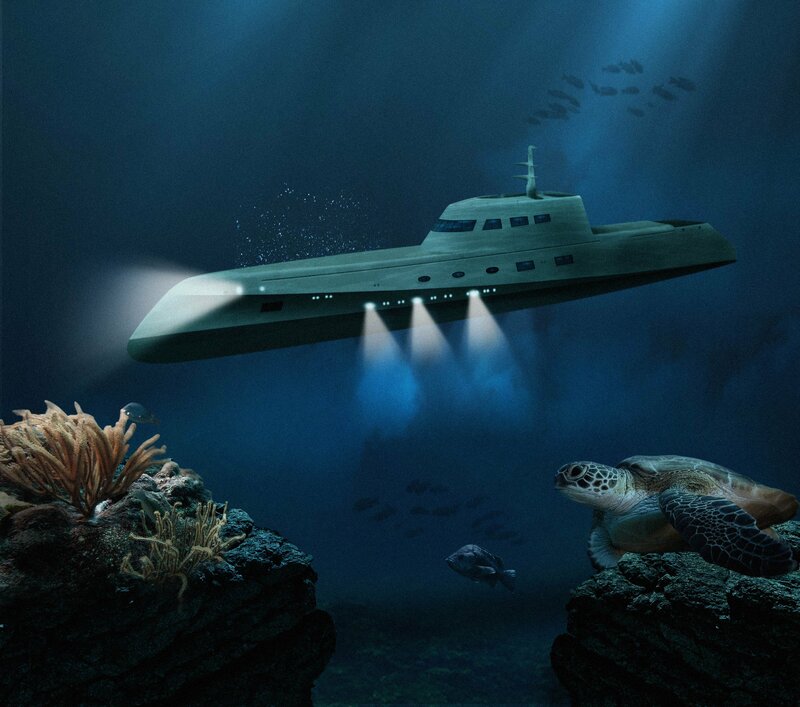 Each offers something so quirky and unique from the next. Whether you’re looking for beauty, history or culture – we’ve covered it all. There’s no doubt Umbria makes a pretty postcard. But just when you think you’ve seen it all, you stumble across Spello. 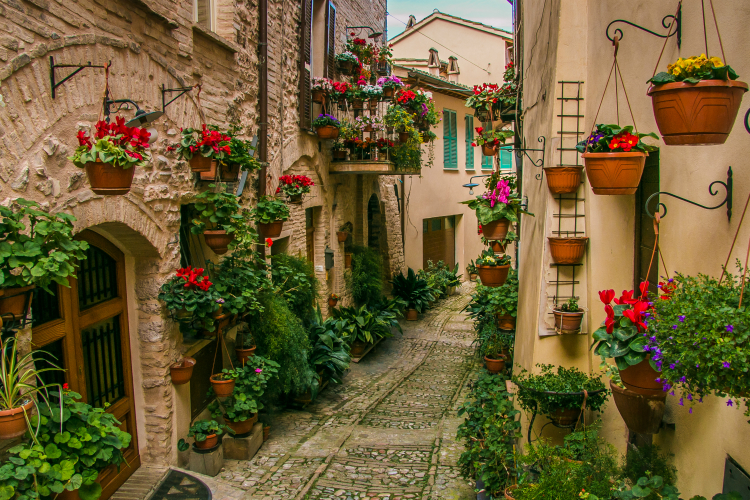 Arguably the most picturesque town in Umbria, there’s something truly enchanting in its appeal. Winding medieval streets, old churches and rich architecture – Spello shines brightly in front of any camera. As a town, it has it all. But we highly recommend visiting during the summertime. There’s something about the warm weather that perfectly showcases the honey-coloured houses you find plastered across Google images. And let’s not forget the never-ending florals. You can literally smell the freshness of the flowers in the air – heavenly! 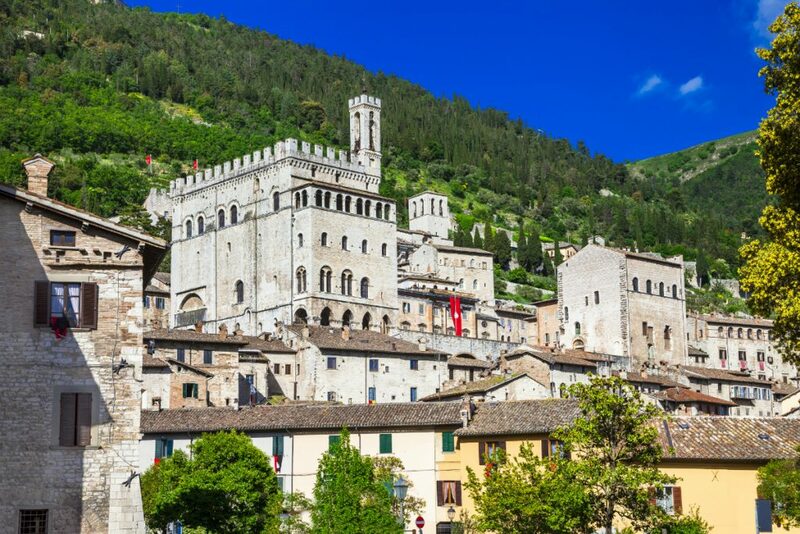 Both angular and imposing, this medieval town is unlike anything else you’ll see in Umbria. As the oldest town in the region, the buildings are quite gothic and the architecture exudes tradition. The old town is amazing. 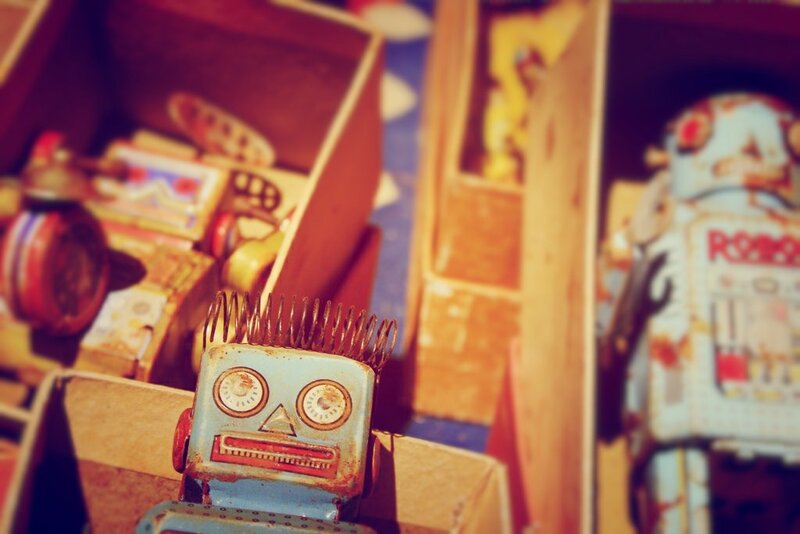 There are quirky stalls and craft shops, where you can buy products relating to leather, iron and gold. It may just sound like another ‘market’ but these stalls are a rarity, and the locals are extremely welcoming – aways eager to share their stories with you. Set those tastebuds alight with melt in the mouth truffles. Used on everything (trust us) and too good not to try! Foodies, this one is for you. Surrounded by olive groves and vineyards upon vineyard – Torgiano has the best luxurious extra-virgin olive oil and smooth peppery red wine. 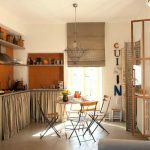 This sleepy town has gained fame for its gastronomical history, and visitors can learn all about it at the Museo del Vino. 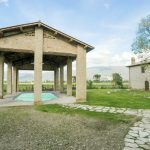 The most qualified wine museum in Italy – guaranteeing a good glass of wine. The town of Torgiano still preserves its typical medieval appearance and the remains of its ancient walls. And if you visit, even just once make sure you see Baglioni Tower. The guard tower is worth a fair few photos. 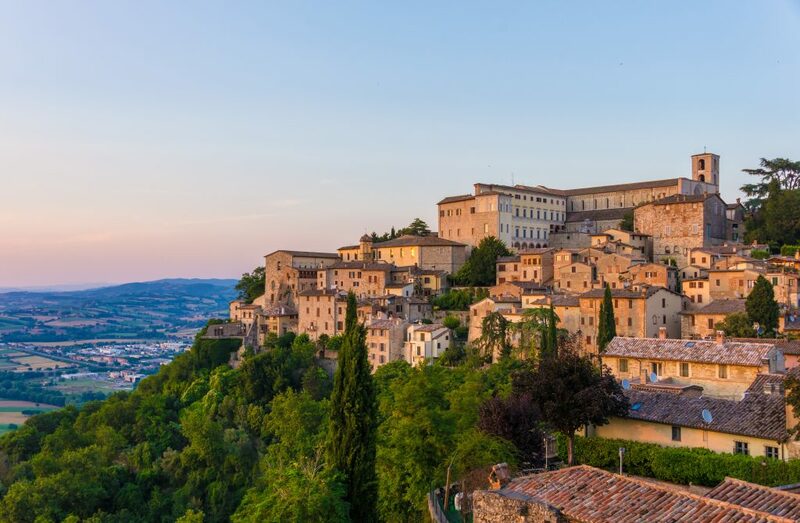 Like something out of a fairytale, Todi is perched on a hilltop high above the winding River Tiber. 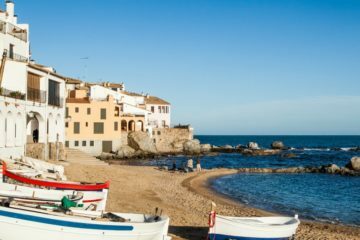 Visitors are falling in love with this pretty town by the day, but still, it remains undisturbed by tourism. 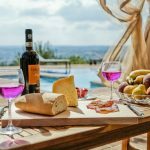 Enjoy a slice of authentic Umbrian life. And what better way than sinking your teeth into the earthy flavours of slow-cooked pigeon, paired with a delicate dry white wine. 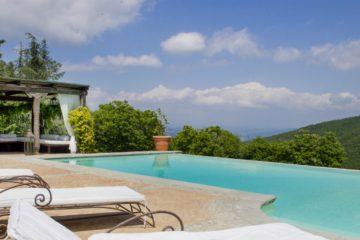 Not only are the flavours superb, but Todi is also an ideal base to explore the rest of Umbria. 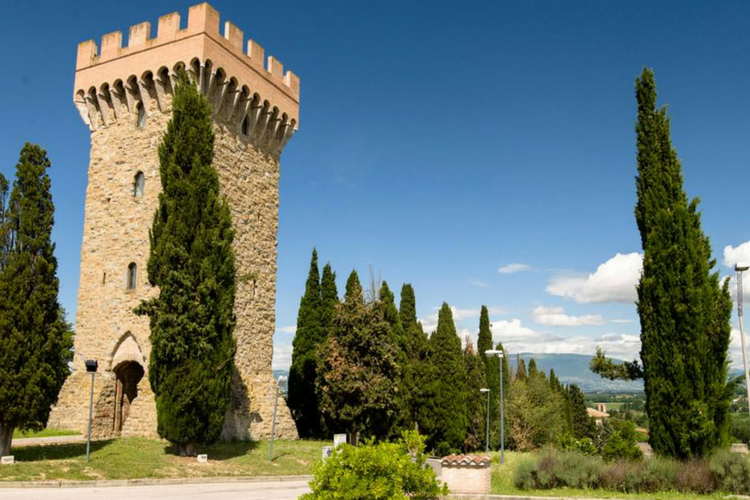 Montefalco and Perugia are only a short drive from the town. 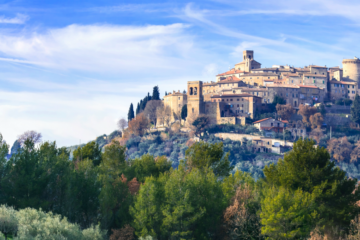 Nestled within Perugia, you’ll find the village of Montone. Throughout the years, not much has changed for this village, but that’s what makes it so special. The layout of the town is Umbrian to a tee but it makes a nice escape for those tired of the capital. 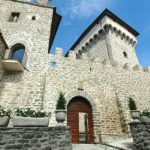 Montone’s location in central Italy means that visitors are never far from the action. If it’s architecture, history, ruins, art or scenery, that you want to experience, you won’t be disappointed. 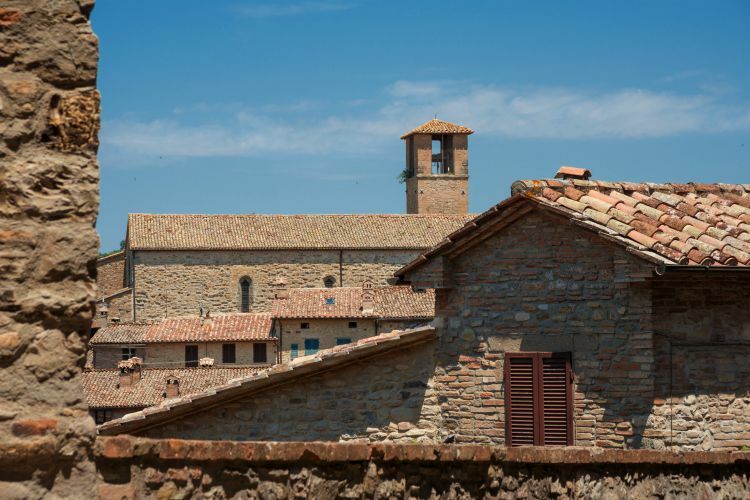 This Umbrian village sits at the border neighbouring Tuscany and just a short drive from the ‘hipster’ city or Arezzo. It’s a win-win for location. But did you know, Citerna was recently recognised for its beauty, winning in the ‘Borghi più Belli d’Italia’ award. Its beauty has something to do with its medieval charm; typical lanes, stone buildings and city gates. An unmissable feature of Citerna is the Camminamento Medievale. An arcaded passageway dating back to the Middle Ages, it provides both a romantic and insightful stroll through the arches. 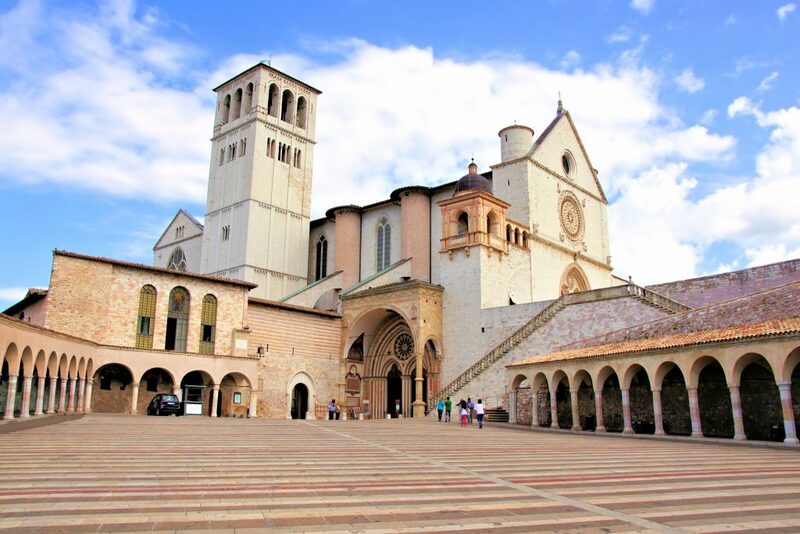 Second on our list is the Basilica di San Francesco, famed as Umbria’s single greatest glory. 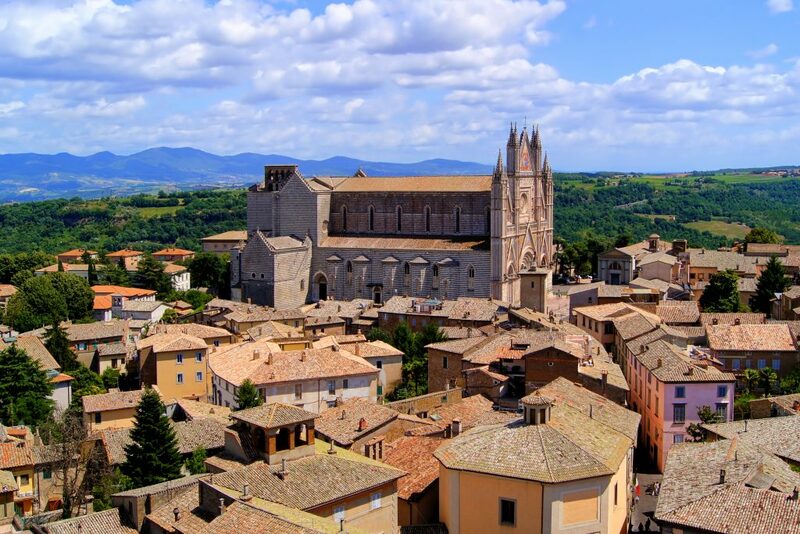 Slightly remote from much of Umbria, Orvieto claims the prize for its prime location. 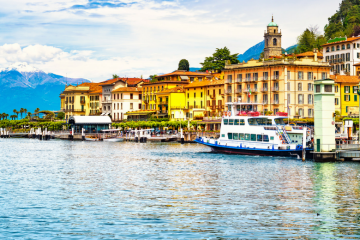 On the main railway between Rome and Florence, there’s honestly no excuse not to visit. The town is impeccable, and regardless of how you get here, the volcanic views are bound to make you stop in your tracks. One of the main draws is the 14th-century Roman Catholic cathedral dedicated to the Virgin Mary. It doesn’t matter how you feel about religion, the incredible facade has to be seen. Taking over 300 years to make, both the interior and exterior are a sight for sore eyes. 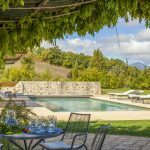 Now you’re clued up on the very best towns and villages in Umbria, discover the perfect accompaniment – our fantastic villas. We just returned from a tour of Umbria and Tuscany. The towns are so historic dating at a time before Christ. 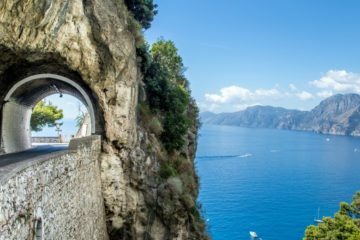 The scenery is breathtaking but be prepared to climb a lot of stairs and walk up and down steep hills. Also the food is quite delicious with regional cheeses wines and olive oils. Hey William, so glad to hear you enjoyed both regions. They’re so stunning – not to mention the food. Cheese is like music to our ears. 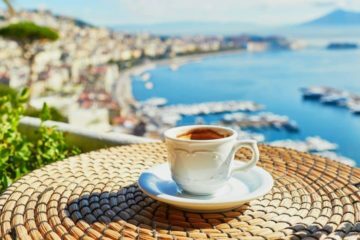 Hope you enjoyed this article! 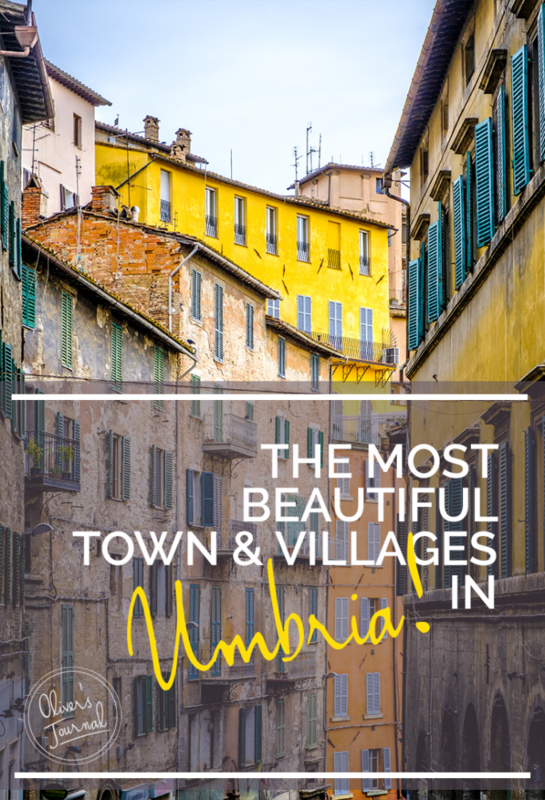 Which village, with the colorful buildings, is featured on the top of your Umbria page. Hi Will, thanks for letting us know (big oops on our part). We’ve changed the picture, #JusticeforMontoneisServed. Thanks!